Elizabeth and Alex married at the Stone Mountain Arts Center in Brownfield, Maine, June 2015. Here they are as their wedding day comes to a conclusion walking from the barn to a grand sparkler exit. 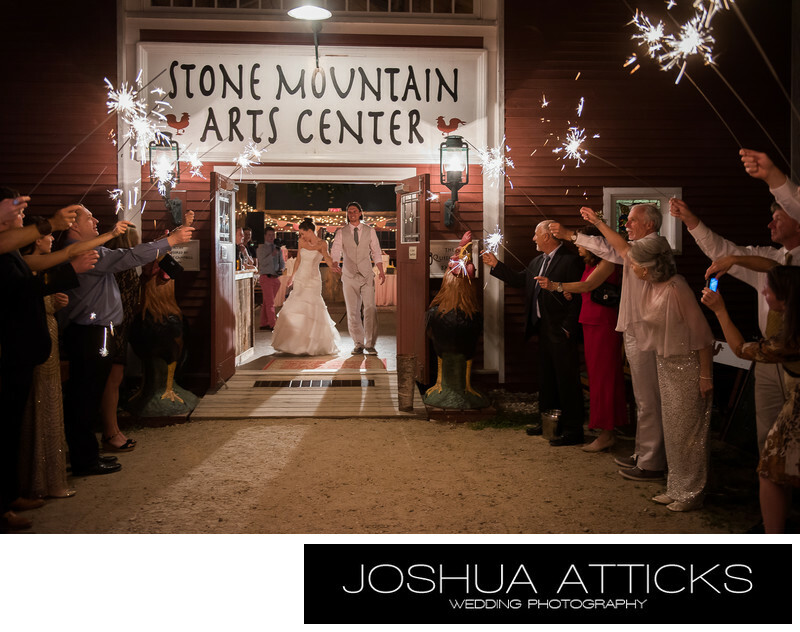 The Stone Mountain Art Center is perfect wedding venue of two gorgeous barns interconnected by a wooded walk way. The rustic decorations, ferry lights and antiques throughout the property give this place a feel like no other in Maine. What a great location for a wedding. Location: The Stone Mountain Arts Center, Brownfield, Maine.